The call letters W6IWI were first used by Kauko Hallikainen in the 1930s. See the 1938 Amateur Radio Callbook. The 1930s QSL card was similar to that shown above (I may still have one of the originals somewhere). I acquired the call in 2016. Prior to that, I held the call WA6FDN, and prior to that, WN6FDN. The WA6FDN license was probably first granted in 1967 or thereabouts, with WN6FDN a year earlier. However, the earliest record of WA6FDN I can find is the Summer 1969 Callbook . WN6FDN started with a Heathkit DX-60 transmitter and a National NC-300 receiver running CW on HF. WA6FDN used a Viking Ranger transmitter running AM, CW, and RTTY on HF. RTTY used a Teletype model 15 printer, and a model 14 typing reperf and transmitter distributor. W6IWI now uses an SEA 245 running CW and SSB into a TH-3JRS 3 elemement tri-band (10, 15, 20) beam and an inverted V for other bands (160 - 10). VHF and UHF FM are covered with a Baofeng UV-5R and a Wouxun KG-UV-6X. The Wouxun KG-UV-6X normally drives an outside vertical antenna at home and a Wilson through glass antenna when mobile. If CW, straight key at about 12 wpm. The plot below shows a historic plot of W6IWI HF CW activity. The list below shows where W6IWI was received (de column), the frequency, the signal to noise ratio, the CW speed (in words per minute), and the time (UTC). Placing the cursor over a de call will show the country, ITU zone, anc CQ zone where the receiver is located. Also see here for a graphical representation of all RBN data. Enter your call and click Submit to see what RBN has on you. This can be useful for testing different antennae. Transmit TEST DE CALLSIGN a few times on one antenna, switch to the other, change frequency a bit (maybe 100 Hz) and transmit again. You should see spots recorded at several locations for each antenna. Compare the reported SNR to get an idea how the different antennae perform. Click Show/Hide on the right side of the results page to enable a map with grayline showing the location of the receive sites. If your site is not shown correctly, update your location at QRZ.COM. Once logged in, select your call (right side of menu bar), then Edit your call, then Map, Grid Square and Coordinate settings. RBN uses these coordinates to place your station. HA8TKS has an interesting set of RBN utilities. For example RBN Graph shows all stations detected by RBN in the last 15 minutes on a selected band. The graph has frequency as the X axis and time (minutes ago) as the Y axis. It shows the call of each station detected. The color tells whether the station was running CW, RTTY, BPSK, beacon, or other. You can filter to use skimmers on certain continents and filter to only show stations on certain continents. Nice view of what's going on! Seacom SEA245 HF Transceiver - Seacom SEA 245. This runs 150W CW or SSB between 1.6 MHz and 30 MHz. Daiwa 501H HF/VHF cross needle watt meter. This meter monitors the transceiver output power whether it is driving the antenna tuner or the amplifier. MFJ-4712 - This remote antenna switch selects between the antenna tunder driving the inverted V and the Dentron Clipperton-L driving the Hy Gain TH-3JRS 3 element 3 band (10, 15, 20m) trapped beam (the amplifier includes a bypass relay so the transceiver can drive the beam directly). The MFJ-4712 remote control box is left in the antenna 2 position. The 12VDC power to the control box is switched by a SPST switch in the shack. When that switch is open (no 12VDC to control box), antenna 1 (inverted V) is selected. When the switch is closed, antenna 2 (amplifier driving beam) is selected. C - 8 meters of RG218XATC 50 ohm coax. Seacom SEA 1630. Microntroller-based remote antenna tuner. The microcontroller switches a set of binary weighted inductors and capacitors in and out of a pi network to match the antenna impedance to the impedance of the transmission line to the transceiver (50 ohms). Measures frequency at start of transmission. If frequency used before, tunes to it within 20 milliseconds. If this is a new frequency, it tunes within 5 seconds. A short copper braid connects the tuner to an 8 foot ground rod. D - 1 meter of RG218XATC 50 ohm coax. Dentron Clipperton-L Amplifier - A 1 kW grounded grid linear amplifier using four 572B triodes. E - 2 meters of RG218XATC 50 ohm coax. F - 2 meters of RG-8/U 50 ohm coax. DX Engineering DXE-BAL050H10AT. 50 ohms. 5 kW CW, 10 kW SSB. Located a few feet from the tuner. On the coax side of the balun, a lightning arrestor with a short copper braid to the 8 foot ground rod. H - Ladder Line, Balun to Antenna - About 15 meters of DX Engineering DXE-LL450-CTL 450 ohm ladder line connects the balun to the antenna. Here's an overall view of the operationg position (a rolltop desk). On the top shelf ia a lamp with a mechanical watt-hour meter. To the right of that are the two VHF/UHF handheld radios (Baofeng UV-5R and a Wouxun KG-UV-6X). The Wouxon is used as a base station with an outside antenna and a speaker/microphone. To the right is the Dentron Clipperton-L with a pair of Daiwa 501H RF wattmeters on top. The left one measures the transceiver output power, while the right one reads the amplifier output power. To the right of that is a USL CM-8E cinema booth monitor. The center channel of the CM-8E is bridged across the balanced audio line between the SEA 245 and its control head. It's used as a headphone amplifier since the SEA 245 does not have a headphone jack. In addition, the equalizer in the CM-8E is set to a narrow bandpass to act as a CW filter. On the desktop surface, starting on the left is my Cisco phone for work. To the right is the Chromebook open to the Reverse Beacon Network page. To the right of that is the control head for the SEA 245. Below that is the handheld IR remote control for the antenna rotator. To the right (the silver box) is a switch that switches 12 VDC to the MFJ-4712 antenna switch. Finally, the bug and key are to the right. Dentron Clipperton-L with the cover removed. The power supply is on the left, the output tuning network on the front right, and the four 572B triodes on the right rear. Here's a view of the SEA 245 control head. It has an RS-485 bus (called SEABUSS) that carries control information to the control head. It can also communicate with the SEA 1630 tuner, but I currently have the tuner operating stand alone. Instead of being on SEABUSS, the tuner (of course) gets the RF and PTT. It returns an open collector signal that goes low when the tuner has tuned. When transmitting, the SQL indicator (squelch) is replaced with TND indicating the tuner has tuned the antenna. Besides SEABUSS, the control head connects to the SEA 245 transceiver with a balanced audio line, the PTT line, a power on/off control (switch to ground to turn on the radio), and switched +12V. The balanced audio line is run as an analog tristate bus. When receiving, the transceiver puts audio on the bus. When transmitting, the control head puts audio on the bus. On a ship, there are typically multiple control heads connected to a single transceiver using SEABUSS. On the right is an MFJ-557 code practice oscillator. The straight key keys both the code practice oscillator and the SEA 245 transceiver. The code practice oscillator provides "side tone." You may see a couple diodes on the left side of the straight key. They provide isolation between the code practice oscillator and the SEA 245 transceiver. To the left of the MFJ-557 is a Vibroplex Blue Racer Deluxe. This is serial number 229386 originally owned by my father, K. E. Hallikainen (Hal). This list puts the manufacture date as 1962, which seems a bit late. Note the Round Arm Vari-Speed Accessory added to the bug. This slows it down to about 13 WPM. The bug is connected in parallel with the straight key so it also keys both the code practice oscillator and the SEA 245 transceiver. This is the actual SEA 245 transceiver (bottom right black box with blue Power Pole connectors). To its left is a 12 VDC power supply. Beneath the shelf is a 12 V lead acid battery that is float charged by the power supply. I work from home designing equipment for movie theaters. This mess is where I do the work. Test equipment includes a Belar FMM-2 modulation monitor. On top of that is homebrew frequency converter that converts several frequencies to the 650 kHz IF input frequency. The infrared transmitters I work on transmit FSK data at 1.8 MHz, and linear FM audio at 2.3 MHz and 2.8 MHz. The frequency converter and the FMM-2 allow the quality of the audio to be measured. Other equipment shown includes an audio voltmeter, oscilloscope, audio generator, distortion analyzer, and a small USB logic analyzer. There's a desktop Windows computer and a rack mount Linux computer (under the monitor) and a KVM to switch between them. On top of the Windows computer is a Netgear Ethenrnet hub so Ethernet traffic can be analyzed with Wire Shark. A debugger is connected to some closed captioning equipment to debug new code as it's developed. The large microphone is used for web conferences. The PTT switch on it enables the microphone and mutes the speakers making conference calls pretty easy. Here's a view of the Seacom SEA 1630 antenna tuner with the cover removed. It is designed to drive a wire antenna on a ship, so there is a ceramic insulator on the top to connect the wire to. Here, the tuner is driving coax (to the balun driving the inverted V). Therefore, an SO-239 was added to the side of the tuner. AWG #6 wire connects the SO-239 to the antenna tuner output at the ceramic insulator and to the ground plate in the tuner. The tuner is a pi network with capacitors to ground at the input and ouput and an inductor between the input and output. Both the inductor and capacitors consist of several binary weighted inductors or capacitors. Relays short out the inductor sections when they are not needed. Relays also ground the low side of the input and output capacitors as required. The microcontroller (in the metal box) drives the relays as appropriate to put the minimum SWR on the input. Also visible on the bottom right of the tuner is a "doorbell button." This allows the transmitter to be keyed at the tuner for checking its operation. My adventures with power line noise. Xcel Energy did a lot of work to solve it. Now I see some noise the day after a rain storm, but generally noise is not synchronized with the line. I look forward to a power outage go see how much noise goes away. There seems to still be quite a bit of noise, but it is not synchronized with the power line. It could be switching power supplies in the neighborhood or may just be th way the HF fands are. I can drop AC power to the QTH and the noise level remains the same, so it appears to be from outside. Here's a short list of interesting radio stuff. Broadcast History - My own online collection of broadcast equipment manuals along with LOTS of other interesting links. California Histrical Radio Society - A great group of people collecting old broadcast equipment and history. They publish an excellent magazine that has included stuff like restoration of a mechanical television and other wonderful articles. 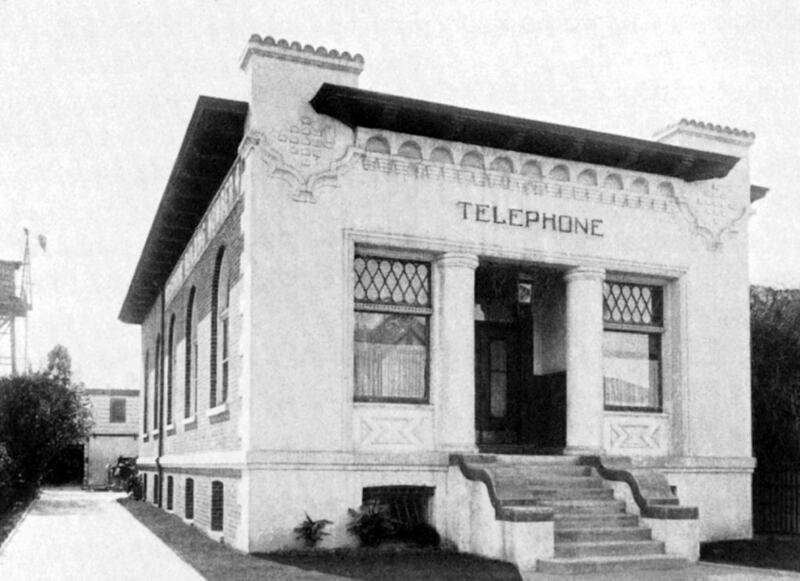 The museum is in a 1900 telephone exchange building in Alameda CA. Restoring a Teletype model 19 - Great series of videos on restoring a Model 19. Includes a visit to Mr. RTTY, the ultimate Teletype parts supplier. Maritime Radio Historical Society - An operating Morse radiotelegraph shore station. The transmit site is in Bolinas CA, and the receive site and control point is in Pt. Reyes Station CA. Here are some photos from our visit in 2015. This is a wonderful project! Remote Ham Radio - Can't put up a 200 foot tower with a four element 40 meter Yagi and 1.5 kW amplifier in your backyard? 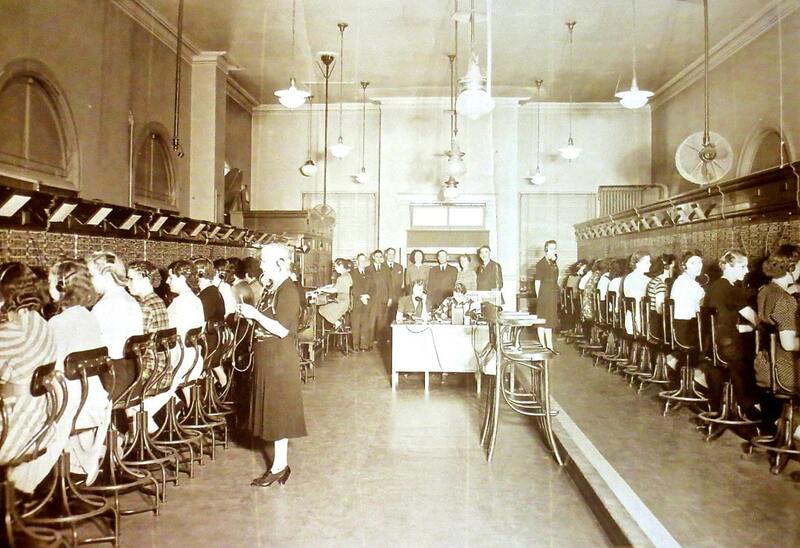 Operate one of these stations from your kitchen table with a web browser. There's an annual membership fee plus a per minute charge for use of the stations. But, this is an interesting way to get on HF from a condo with strict CC&Rs. Reverse Beacon Network - Software defined radio receivers around the world are continuously monitoring the ham bands. These SDR receivers drive "skimmer" software that decodes CW and various digital modes. Send CQ or TEST DE CALL and see where you are received, the signal to noise ratio, and the speed (such as CW WPM). Another amazing intersection of ham radio and the Internet. Contra Dance - Great Fun! I look forward to your comments! Write me at harold@w6iwi.org.